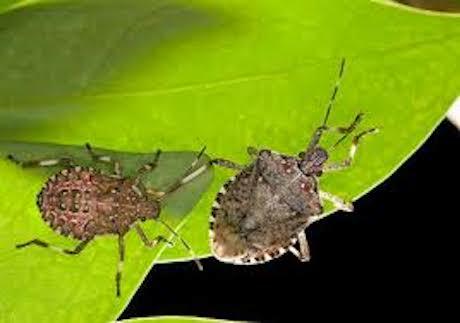 Australian and New Zealand authorities are on heightened alert for a new pest in the brown marmorated stink bug (BMSB) following an increase in detections in both countries. A major threat to the horticulture sectors in both countries, BMSB is native to Japan, Korea, Taiwan and China. In 1998, the bug was introduced to the United States where it is now become a major concern in orchards with some farmers reporting up to 90% in crop damage. It has now spread to Europe as well. BMSB feeds on a range of fruit and vegetables including grapes, apricots, peaches, apples, cherries, raspberries, peppers, tomatoes, corn and pears, using its proboscis to pierce the host fruit. In Australia and New Zealand, there are less destructive native species of stink bugs. Australia’s Quarantine and Inspection Service found live BMSB in containerised electrical goods in December 2017 and a mix of dead and live bugs in containerised bricks mid-January – both originating from Italy. New Zealand biosecurity detected the pest in three recent Japanese car shipments. Based on the latest detections, new inspection regimes on all used vehicles being imported from Japan will undergo inspection and cleaning at an MPI-approved facility prior to export. MPI Biosecurity and Environment Manager, Paul Hallet, said in a statement any used machinery or other types of used vehicles from Japan will require certification proving it has undergone a cleaning regime by an appropriate provider. Three bulk carriers were directed to leave New Zealand recently due to excessive contamination. Australia has now put strict additional treatment protocols in place for containerised goods from Italy including heat and methyl bromide. These protocols will be reviewed in April 2018. The New South Wales Department of Primary Industry issued an advisory stating BMSB is unlikely to be imported on fresh produce due to its trying to hide when being disturbed during harvest and packing operations.